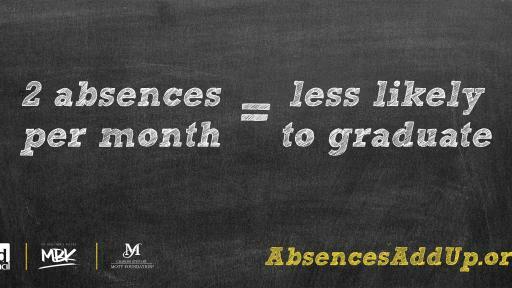 U.S. Department of Education, the Charles Stewart Mott Foundation, and the Ad Council Partner on Absences Add Up campaign to help parents keep their children in school and on a path to success. 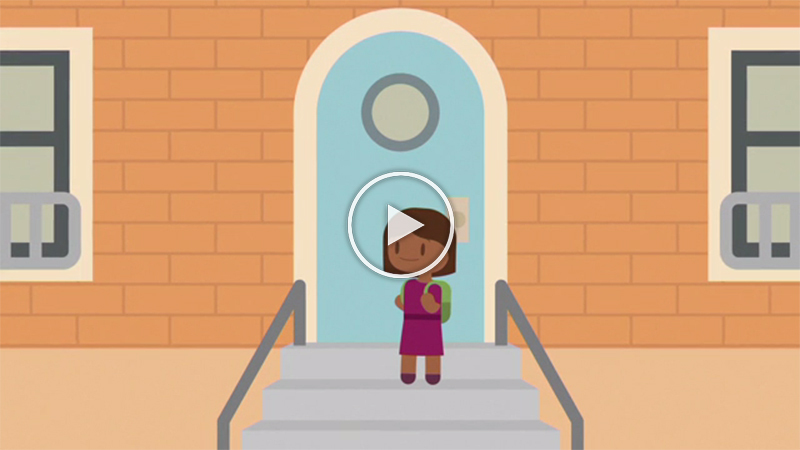 “Ensuring kids actually make it to school is a vital part of leveling the playing field. 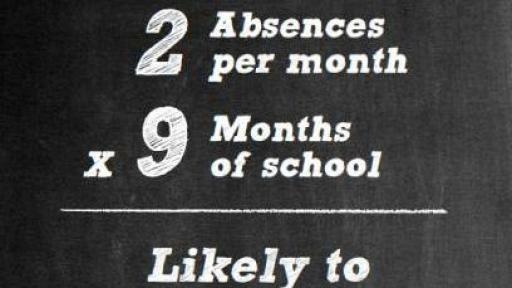 Just missing a couple of days of school a month can mean the difference between dropping out and graduating on time. 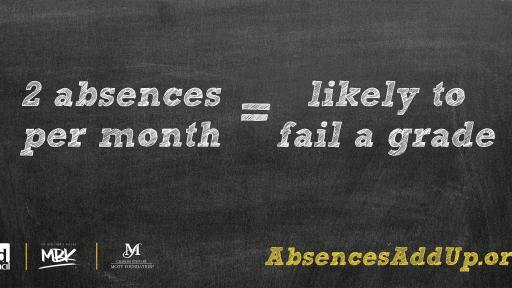 Absences add up. 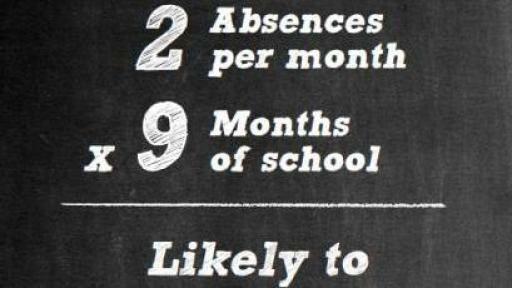 That’s why eliminating chronic absenteeism is a critical part of our work at the federal, state, and local level to ensure that every child has the opportunity to succeed,” U.S. Secretary of Education John B. King Jr. The Ad Council is a private, non-profit organization with a rich history of marshaling volunteer talent from the advertising and media industries to deliver critical messages to the American public. 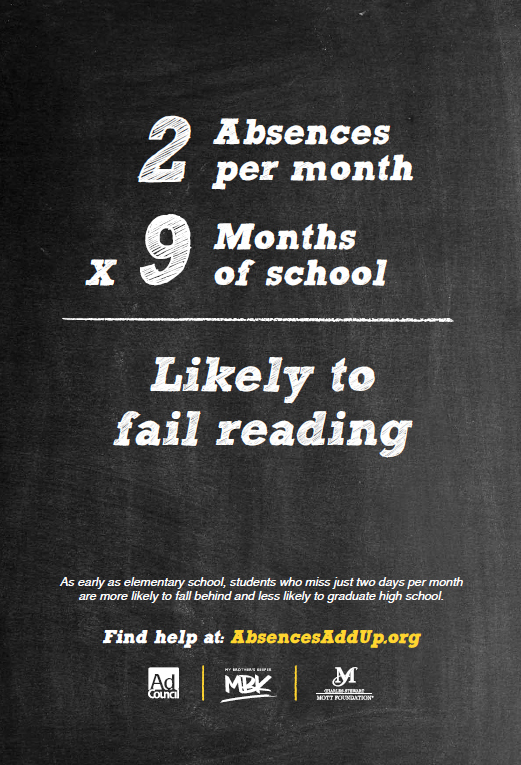 Having produced literally thousands of PSA campaigns addressing the most pressing social issues of the day, the Ad Council has affected, and continues to affect, tremendous positive change by raising awareness, inspiring action, and saving lives. 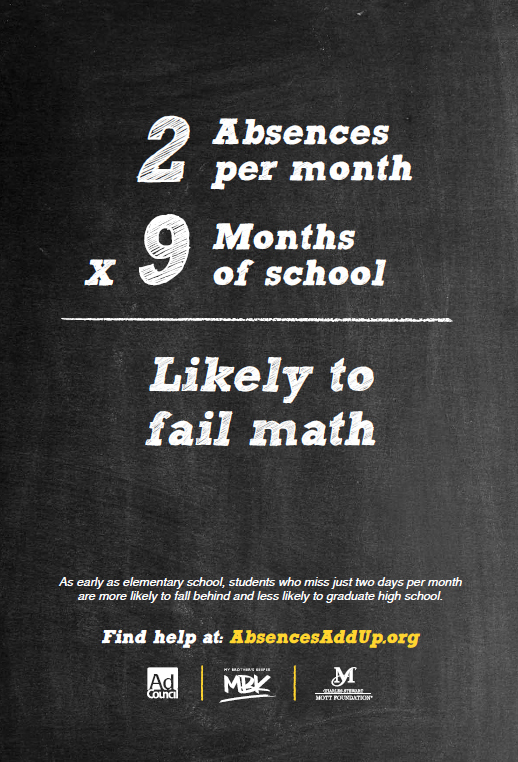 To learn more about the Ad Council and its campaigns, visit www.adcouncil.org, like us on Facebook, follow us on Twitter, or view our PSAs on YouTube. President Obama launched My Brother’s Keeper in February of 2014 to address persistent opportunity gaps faced by boys and young men of color and ensure that all young people can reach their full potential. In response to the President’s call to action, nearly 250 local municipalities in all 50 states have accepted the MBK Community Challenge. U.S. Secretary of Education John B. King Jr's top priorities for this year have been promoting equity and excellence at every level of education to ensure that every child has the opportunity to succeed; supporting and lifting up the teaching profession; and continuing the Department's focus on returning America to the top of the rankings in college completion by ensuring more students earn an affordable degree with real value. The Charles Stewart Mott Foundation, established in 1926 in Flint, Michigan, by an automotive pioneer, is a private philanthropy committed to supporting projects that promote a just, equitable and sustainable society. With year-end assets of approximately $2.7 billion in 2015, the Foundation made 400 grants totaling more than $119 million. 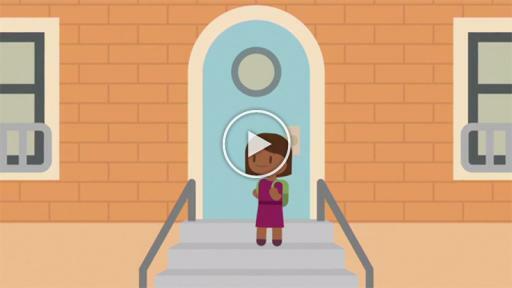 As a longtime funder of community education and afterschool programs, the Foundation considers education an important pathway to opportunity. 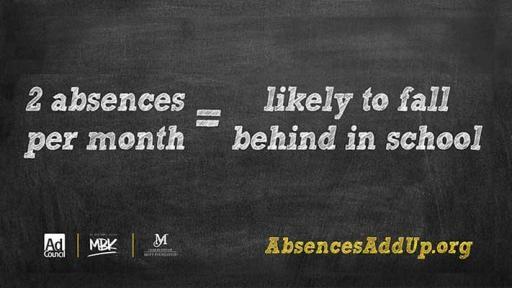 Through its work with the federal 21st Century Community Learning Centers initiative and the Absences Add Up campaign, Mott believes afterschool leaders can help schools connect and partner with parents to build good attendance habits that will benefit children throughout their lives.